Learning how to drive is a major part of our lives. 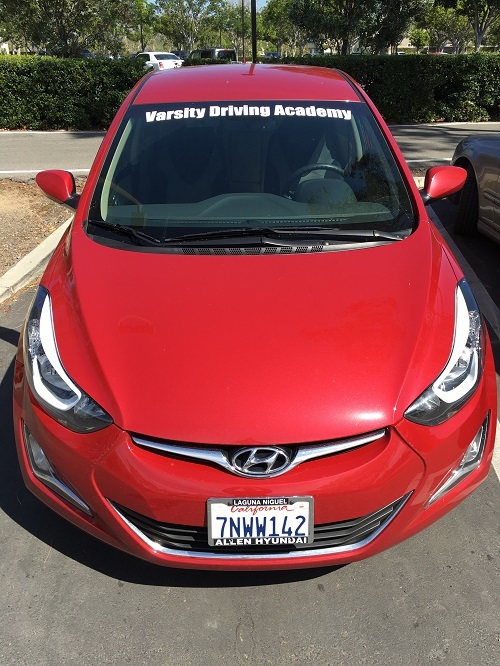 For students at Capistrano Valley Christian Schools, the number one choice for learning how to drive is Varsity Driving Academy. We teach all of our students how to drive in the safest way possible as well as how to pass your license test. Our priority is safety but we also believe in a flexible schedule to make things easier for students. Want to know more? Below you’ll find a few details about our services. After learning about Varsity Driving Academy, sign up to start learning how to drive. Welcome to Varsity Driving Academy Capistrano Valley Christian Schools Driving School! Capistrano Valley Christian Schools can use our free pick-up and drop off service to make things easier as they learn to drive. Capistrano Valley Christian Schools is filled with students who live busy lifestyles. Between classes and social lives, it can be difficult to add in other classes. However, learning how to drive will take some time and at Varsity Driving Academy we want to give you flexible time. After signing up for classes, students will have an opportunity to create a username and password. Using that login info, students can access a virtual class whenever and from wherever. The only things students will need is a computer and an internet connection. The beauty of a virtual classroom is you can get up and leave whenever you want. When you come back, the class will be picking up from where you left off and you won’t miss a thing. One aspect of learning how to drive that requires dedicated hours is behind the wheel training. While there are two hours each session that will be dedicated to the session, we do try to make it easier. Firstly, we have top rated safety vehicles to ensure safety. Secondly, each session is one on one with a trainer so students feel comfortable asking questions. Thirdly, each session can be scheduled whenever the student wants. However, we do recommend staying within a pattern of once at the start, once in the middle and once at the end of the waiting period. Lastly, We offer a free pick up and drop off service for students so they don’t have to work around a parent, guardian, or sibling’s schedule. We like to go above and beyond for our students at every turn. A prime example of our dedication to learning, safety, and ease is our DMV Package. The DMV Package is an add-on that students can sign-up for that makes the entire process easier. We will act as a representative to our students at the DMV. What that means is, we will call the DMV to schedule testing times, gather all paperwork needed and make the learning experience easier. When it comes time to take the final test at the DMV, we will pick up and take the student to the test. Upon arrival, we will hand the keys to our car to the student so you can take the test in the vehicle you’ve practiced in before. Please contact us for more information regarding our utilities at (949) 387-4400.